These Terms and Conditions apply to all participants of Asia Internship Program. By submitting your application, you are entering into this Agreement. We have attempted to make this Agreement easy to read and understand by categorizing each section. These categories have been inserted for your convenience only and do not affect the legal construction or interpretation of this Agreement. “we”, “us” or “our” means Asia Internship Program or “AIP”. Agreement means contractually binding agreement between us and you that is made up of the application form and the terms and conditions set out in this document. Commencement Date means the date, agreed upon with you in advance, that the program begins in the local destination. Deposit means the part of the program fee that must be paid by you in advance of your placement in order to secure your place on the program prior to payment of the balance of the program fee, such balance being payable in accordance with section 3 below. Program means any internship placements or service offered by AIP. Preference Area means your first and second choice of industry role as established on the Phone/Google Hangout interview during our admissions process. Program Fee means the sum of the remaining balance after the Deposit, payable by you to us in accordance with Section 3 below. Points 1(c) to 1(d) are applicable only to Standard Package, whereby provided services are subject to change in different destinations. For the avoidance of doubt, we will only be responsible for and are only bound to provide the services and matters set out in Section 1 above. We retain all rights to reject the application of any persons we deem unsuitable for our Program at our own discretion. To verify your suitability, we may request you to provide contact details of your references. (a) Your Initial Deposit (“Deposit”) is $500 USD. The Deposit is in return for a service; with the fee being solely used to reserve your position in the program and cover certain related administration expenses. Upon receiving your Deposit, AIP agrees to place you in an internship by the Placement Deadline. vi. refusing internships offered to you if they are your first or second choice as stated in your acceptance letter. v. failure to provide a sample portfolio of your previous work (if requested). (d) if AIP is unable to place you in an internship role as stated in your Acceptance Letter before the placement deadline, you will be given the option (1) to withdraw from the program and receive a refund of your Deposit made by you (“Full Refund”), or (2) to request AIP continues the search process until you are placed; if AIP is still unable to place you within the extended time, you will receive a Full Refund. Note the Full Refund is only applicable if you do not fail according to the conditions stated in section 3(c). (e) If your Deposit is received by us less than 8 weeks before the Commencement Date, your Commencement Date and Placement Deadline will be delayed by the number of days the deposit should have been received by (minimum of 8 weeks prior). (f) All Program Fees must be paid in full, 21 days prior to the Commencement Date unless agreed otherwise. Participants, who fail to meet this requirement, may receive none of the benefits of the Program. This includes, without limitation; placement in a confirmed program, airport transfers and accommodation. (g) You are responsible for covering all and any charges related to foreign currency transfers and international bank payments; this applies to your Deposit, Program Fee and any other transfer to us. If you underpay your Deposit due to not covering foreign currency transfers and international bank payments, you will make up the remaining balance when you pay the Program Fee. (h) You agree to pay late fees (and interest where applicable) for any late payment passed the due date indicated on the invoice. If you wish to extend the payment deadline or dispute the invoice, this must be done in writing to your AIP representative within 3 days after receiving the invoice and before the payment due date. (i) AIPx fees are to be paid together with your Deposit. (j) If you apply for Singapore, you have to provide proof of acceptance for the Work Holiday Program. If your proof of acceptance is received by us less than 8 weeks before the Commencement Date, Your Commencement Date will be delayed by the number of days the proof of acceptance should have been received (minimum of 8 weeks prior). (a) If you wish to withdraw from the Program it must be done via a written request. For the avoidance of doubt, such a written request can be made by email to your assigned Internship Coordinator. (b) If you withdraw from the Program for any reason other than AIP’s failure to place you by the Placement Deadline within your industry as stated by your acceptance letter, or if AIP determines, in its sole discretion, you did not fully co-operate in the placement process at anytime before the Placement Deadline, such as stated in conditions in section 3 (b) and (c), AIP will be entitled to the Deposit. (c) If you withdraw from the Program for any reason after being placed with an Internship Provider, AIP will be entitled to the full amount of the Placement Package or 50% of the Standard / Signature Package Fee. If the withdrawal takes place less than 21 days before the Commencement Date, AIP will be entitled to the full amount on all three Programs Fees. (d) Unless previously agreed, if you want to change the dates of your participation in the Program, or change any part of the information stated in the acceptance letter after paying the associated program fees, up to $500 USD or 25% of your package fee (whichever is greater) will be a charged extra for administrative fees. If such a request is made within 21 days of the Commencement Date or after an invitation letter has been issued we reserve the right to refuse the change request or apply an additional charge, which shall be determined at our sole discretion. (e) In the event that, for any reason at all, you decide to discontinue your place on the Program after it has started you will not be eligible for a refund of the Deposit. (f) If, for any reason, we have to cancel your participation in the Program, prior to your commencement date, a full refund of the Program Fee, including the Deposit, will be given to you. A full refund will be issued only if the cancellation is for reasons not attributable to you. No compensation can be given for any other costs incurred in the relation to the Program. (g) All refunds will be issued minus any bank transfer costs. (a) The content and information displayed on our website and other promotional material is believed to be valid and correct but we will not be held liable and do not take any responsibility for any misinformation or ambiguities in the content. Prices are subject to change without notice and you will be liable for additional amounts owed due to price changes unless your deposit has already been submitted. (b) We reserve the right to your photograph, or video footage of you, taken within the duration of your Program with us, for use in our promotional material. We do not make any payments to individuals in respect of such use. We may (but are not obliged to) re-produce the photographs (or part of them) in our promotional material including, without limitation, posters, advertisements, printed publications, on our website and social media website pages. Copyright in the photographs will belong to Asia Internship Program. We will not use your image, or any other information you provide, for any other purpose. By agreeing to these terms and conditions, you consent for your photographic and video data taken in the duration of your Program with us to be used for our promotional purposes. (a) We cannot accept any responsibility or liability for loss of or damage to your passport or any other personal identification or property at any part of the immigration visa process, during transit, or during registration. (b) We cannot accept any responsibility or liability for Program changes or Program cancellations under any of the following circumstances: war or threat of war; terrorism; fire; sickness; or, any other event or circumstance which amounts to a “force majeure” and in such cases no refund or compensation for any loss will be given to you unless otherwise decided at our sole discretion. (a) It is your responsibility to be aware of any national holidays or other events that may change the nature of the Program. While most companies operate a 08:00 – 18:00 working policy some may have different requirements and we cannot be held responsible for this. This includes the working days and operation hours of the concerned embassy that you will be applying your visa. AIP is not liable for any additional costs that may arise from the changes and delays of your travel arrangements due to this matter. (b) International flights are not included in the cost of any of our Programs. It is your sole responsibility to arrange flights and to select providers based on your own decisions and experiences. We cannot be held responsible for any action, negligence, or event relating to the purchase or operation of flight tickets or flights. We will also not be responsible for any costs or refunds due to changes or delays in the flights. (c) It is your responsibility to arrange your own immigration visa. Where we will provide visa assistance as best to our current research and knowledge. We cannot be held liable for any costs or delays relating to your immigration visa acquisition. These costs include and not limited to the visa application, travel, and accommodation. (d) It is your responsibility to verify the required documents in order to obtain your immigration visa by liaising with the counselor/embassy of your chosen destination. Please note immigration visa policies are subject to change and differs according to your country of origin / residence. We cannot be held liable for the change in visa immigration policies. (e) It is your responsibility to arrange your immigration visa according to your Commencement Date. We cannot be held liable for any costs or delays relating to a postponement of your Commencement Date relating to your visa acquisition. (f) It is your responsibility to provide updates about the visa application process or related documents, if requested. (g) It is your responsibility to register for all AIP related events by the deadline set. Failure to comply will result in you forfeiting your attendance. (h) It is your responsibility to inform us if your internship is academic credit bearing and to submit all related documentation and information to AIP during the initial interview prior to receiving our acceptance letter and paying your deposit. 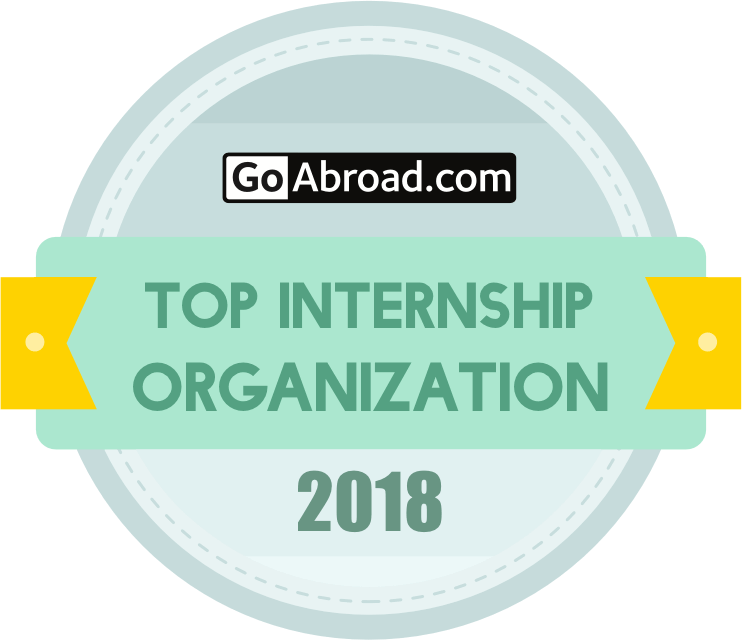 These documents and information including but not limited to your university internship guidelines, university internship agreement, and university's criteria for accepting internship position and/or host company. Failure to do so, AIP will not be responsible and will be entitled to your initial deposit if your university rejects an internship position that we have secured for you. (a) If you should experience any problems whilst partaking in our Program, you must immediately inform us in writing by email or letter, with a clear explanation of the problem. In such an event, we will discuss the problem with you and will discuss ways in which the problem can be solved. We are not responsible for any conversations or anything that is said unless it is recorded in the written form either by email or letter. (c) If you wish to terminate your placement prior to the end of the time stated in the internship agreement for any reason you must provide us with written notice, clearly stating reasons for such a decision. You agree that no refund of the Program Fee or any other fees will be made in this situation, that no other placement will be offered and that you will be required to leave the provided accommodation within one week of being informed by us*. (d) If you should deem the accommodation that has been provided to you to be unsuitable, AIP must be notified within 1 week of the start of your first day in that accommodation in order for remedies to be made or, if necessary, alternative accommodation arranged*. (e) AIP cannot be held responsible for any complaints arising from issues outside of the specifications made in Section 1(b), this includes, with limitation, relations with other inhabitants of the apartment/home-stay, relations with your neighbors*. (a) We, our partner companies, suppliers and members of staff cannot be held responsible for any case of injury, accident, claim, theft, damage, sickness, cancellation or loss, in relation to our/their services. (a) In situations where you do not comply with the rules of the assigned Internship Provider or rules of our Program or the law of the country to which you are interning in, we may release you from the Program and no refund will be granted to you and you will be required to leave the provided accommodation within 48 hours of being informed by us*. (b) You will be held legally responsible for your conduct at all times during the Program. You will not act irresponsibly nor will you break the law of the country to which you go. You will not put yourself or others in dangerous situations. If you do any of the above, you will be responsible for the consequences. (c) We reserve the right to expel, at our sole discretion, any Participant from the Program for reasons including but not limited to: breaking the law; bullying or harassment of other Participants; anti-social or unreasonable behavior or unfit conduct towards other group members, our representatives, our suppliers, representatives or the assigned Internship Provider; or excessive absence from work. We will determine whether a Participant has acted in any of the ways set out above at our sole discretion. In such instances, we retain the right to immediately eject the Participant from his or her accommodation* and cancel their participation in the Program. (a) We take no responsibility and are not liable for any third party behavior or actions including but not limited to that of the Internship Provider and accommodation provider*. We do not take responsibility and are not liable for any accidents that take place at any third party locations including but not limited to the premises of the Internship Provider and the designated accommodation*. It is your responsibility to ensure you purchase personal liability insurance prior to the Commencement Date. (a) You are responsible for ensuring that you have purchased full, comprehensive insurance prior to departure, which will cover you for the duration of your participation in the Program and which includes but is not limited to travel, health, medical and accident insurance. You must bring all relevant insurance documents with you to the country in which you are placed. (a) In instances where it is demanded by the Internship Provider, you agree to sign a Non-Disclosure Agreement with the assigned Internship Provider. Regardless of whether or not the assigned internship provider requires a written Non-Disclosure Agreement, you agree to respect and keep confidential the intellectual property of the assigned Internship Provider. Any work produced during your internship remains the property of your assigned Internship Provider unless specified otherwise. (b) You hereby agree not to disclose specifics, or any disputes regarding your internship to other program participants or third parties outside of AIP or your assigned Internship Provider. We are not responsible for the workload provided by the Internship Provider whether it is of high or low volume. In such situations, you should discuss the problem with us and we will endeavor to resolve the issue accordingly. (a) To comply with immigration Visa regulations of the country to which you are going to, and to ensure the safety of yourself, other program participants, Internship Provider and AIP staffs, you must notify us if you have any of the following, but not limited to: Mental Illnesses, Venereal Disease, Tuberculosis, HIV, Leprosy, and other infectious diseases. (b) You must inform us of any international travels or any other reasons for the unavailability of your passport for immigration Visa processing if unavailability occurs within 4 weeks prior to the Commencement Date. We cannot be held responsible for additional costs for express processing, postage, and submission in person by our staff, or delay or cancellation of Program due to a failure to inform of such details. (a) Any additions to the Program by you when you are already in the country in which you are placed will incur the full fee difference between the original Program and the desired Program, plus an administration fee of $200 USD. Any such Program changes or extensions are made at the sole discretion of Asia Internship Program and cannot be guaranteed. (b) Any requested removals, reductions or amendment to the Program will not entitle you to a full or partial refund from your Program Fee already paid prior to your arrival to the country of placement. (a) A person who is not party to this Agreement shall not have any rights under or in connection with the Agreement. (b) The rights of the parties to terminate, rescind, or agree any variation, waiver or settlement under the Agreement is not subject to the consent of any person that is not a party to this agreement. (c) If a provision of the Agreement (or part of any provision) is found by any court or other authority of competent jurisdiction to be invalid, illegal or unenforceable, that provision or part-provision shall, to the extent required, be deemed not to form part of the Agreement, and the validity and enforceability of the other provisions of the Agreement shall not be affected. (d) If a provision of the Agreement (or any part of any provision) is found illegal, invalid or unenforceable, the provision shall apply with the minimum modification necessary to make it legal, valid and enforceable or the parties shall negotiate in good faith to amend such provisions such that, as amended, it is legal, valid and enforceable, and, to the greatest extent possible, achieves the parties’ original commercial intention. (e) AIPx is a supplementary service that accelerates the internship admission process whereby we agree to schedule an interview with a placement provider within 11 working days after receiving your Deposit and AIPx fee. However, we cannot guarantee all your internship expectations will be met. * applies to Standard and Signature Package's only. You hereby agree to the terms and conditions as set above. If you are found to be in violation of these, AIP reserves the right to issue legal proceedings against you.